Since the 1971 Championship, the Milwaukee Bucks have never been one of the popular teams of the NBA. Then, young Kareem Abdul Jabbar (Lew Alcindor) was part of the core of the team alongside Oscar Robertson. It was the first team to have won a championship in the era dominated by Boston Celtics. Since that championship however, the Milwaukee Bucks franchise has made it to only two conference finals, last of which being 2001. In this new age of superstars and super-teams, they are changing the narrative behind the new star Giannis Antetokounmpo. The Greek national has had the most consistent growth as a player since he was drafted by them. In the fifth year of his young NBA career, Giannis is making his mark on the game, leading the Milwaukee Bucks to a place they have not been in a long time. 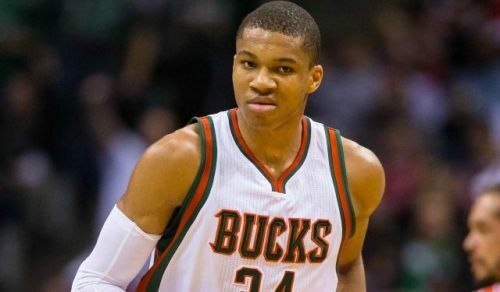 Last night with the win against the Los Angeles Lakers, his Bucks clinched their playoff berth. This season, Giannis has been excellent from the start of the league, earning him the highest votes in the All-Star game, giving him a chance to captain one of the teams. He has become a top-rated player in the NBA, rated as one of the top 5 players in the league. With Lebron James’ move to Los Angeles Lakers, the Eastern Conference was wide open for the next superstar to grab it. Every year since his debut season, Giannis has made significant improvements to his game, as his numbers have shown. This season he has been putting up consistent numbers that should grant him the title of Most Valuable Player of the season. He is averaging 26.8 points, 12.6 rebounds, and 5.9 assists per game. Numbers which are good enough to put him in the MVP conversation. 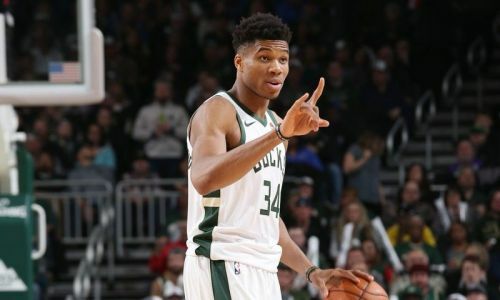 With a new head coach and tinkered roster, the Milwaukee Bucks have the best record in the NBA so far, and a lot of the credit should go to the young leadership of Giannis. He had a taste of the playoffs last season, and his team are in an excellent position to make it all the way to the NBA Finals this season. If Giannis is able to take his team that far, which the Bucks franchise has not been in a very long time, the argument for him to be named MVP is surely stronger than that of the other candidates.